"The United States is at War, we are all ready and eager to do our part. 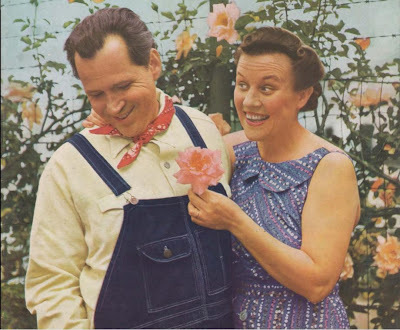 The makers of Johnson's Wax and GloCoat believe it is in the Public's interest to continue programs as entertaining as Fibber McGee and Molly- They have a place in National Morale… We have asked the National Broadcasting Company to feel free at any time to cut into our program with important news flashes and announcements. Signed, H.S. Johnson Jr."
At the end of the broadcast the Sponsor makes an appeal for the Defense Bond Drive, "to insure our Victory, we must turn our dollars into guns and our dimes into bullets," and the cast leads the audience in a chorus of "My Country 'tis of Thee." By the next week writer Don Quinn and the production are on more of a war footing. The broadcast of December 16, 1941, only a week and a half after Pearl Harbor, opens with the musical number, "The National Emblem March", and Harlow Wilcox "making no apologies" in an appeal for contributions to the Red Cross: "We are a great nation, so let's give 'til it hurts." Later the Old Timer invites Fibber to come play in the snow- the kids want to choose up sides to play Yanks and Japs, but no one want to be a Jap! Later he asks why Hitler gives all his speeches from a beer garden. "The way I Heeeard it…" it's so that when his mouth starts to foam no one will notice! Singer Martha Tilton reminds us to "Thank Your Lucky Stars and Stripes." And the broadcast ends with Fibber and Molly making a pitch for Defense Bonds and Stamps. Of course there were reactions to the War in the story line as well. On April 7, 1942 there is a scrap drive in Wistful Vista for War Materials, on May 5, 1942 Fibber claims to have invented a sugar substitute that will help relieve the pains of rationing. Rationing and the effort on the home front take special notice on the show. In cooperation with the OWI (the Office of War Information) the show is peppered with reminders and lessons about the sacrifices made necessary by a nation at war. At one point the McGee's run short of meat coupons, and Fibber tries to fill his meat craving with a black market porterhouse (April 27, 1943.) Of course his neighbors have a very low opinion of anyone who would deal in such nefarious business. Writer Don Quinn was considered a master of integrating OWI messages into the show. During the war the show alternated the top of the rating charts with Bob Hope's radio show as the country's top comedy broadcast. 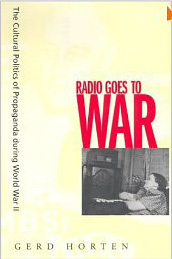 Quinn claimed that his success with the "propaganda shows" was merely the result of his following the established rules for comedy writing, but he also acknowledged that listeners were hungry for war related topics. And the Office of War Information knew a good thing when they saw it. The Fibber McGee and Molly Show was given exclusivity to an OWI plug, an appeal for Merchant Seamen. The War Shipping Administration reported that volunteers for merchant seaman doubled following the broadcast. June 6, 1944, was an important day in the War, D-Day, the day of the Invasion of Europe. But it was also a Tuesday, the night that America tuned to the NBC Network for the Fibber McGee and Molly Show. One may try to guess what Don Quinn and the company originally had in mind for the evening. However this evening's show opens with the Jordan's somberly expressing their pride to be associated with the radio industry, which was fulfilling its promise of instantaneous communication "in times of World Crisis." 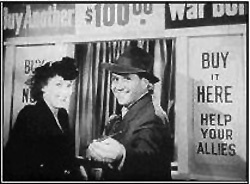 Marian Jordan, as Molly, announces that the sponsor and crew have dedicated the broadcast to any incoming notices received by NBC.Rather than try to run dialog that could be interrupted by notices, the broadcast is filled with the Billy Mills Orchestra and the King's Men Vocal group performing Songs of the Services, of course dedicated to all "our Fighting Forces on all Fronts." The long awaited announcement comes in the 25th minute of the broadcast. A report is given from the NBC Newsroom in Hollywood of the latest version of the Battle as reported by the enemy, through Swedish Correspondents in Berlin. The report ends, hauntingly, over the Army Hymn, being sung by the King's Men. 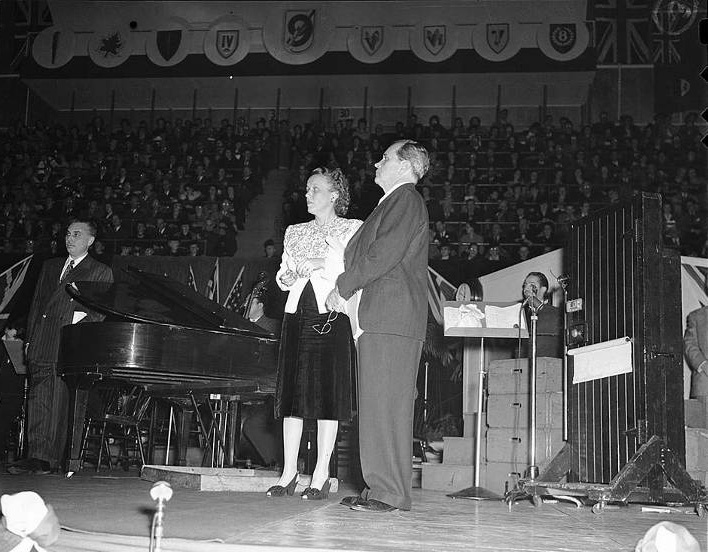 The broadcast ended with Marian assuring listeners that God was indeed on the side of the Allied Forces, and Jim announcing that the President would be addressing the nation in just a few seconds. The address would be FDR's famous D-Day Prayer. VE Day and VJ Day would come and go, but for those on the home front, the war wouldn't truly be over until their loved ones actually came home. And for the good people in Wistful Vista, that day would be the evening of October 2, 1945, when Mayor LaTrivia returns from the South Pacific. The local defense plant is converting from Wartime industry to making baby buggies, and everyone is on the welcoming committee. Everyone except, for some strange reason, our Hero Fibber. So Fibber surprises all by meeting LaTrivia's train at the edge of town. But when he tries to upstage LaTrivia, the returning Coast Guardsman gets the last laugh by tricking Fibber into getting back on the train as it leaves the station.